This application enables you to hear many kinds of sounds. 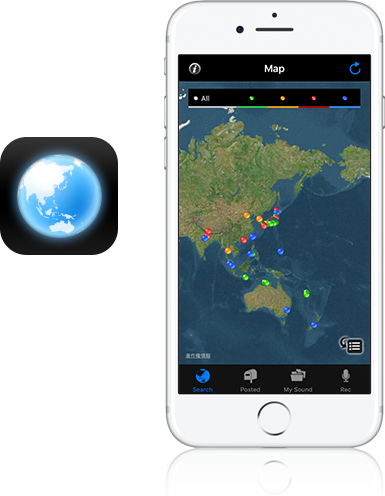 In addition, you can also record your own sounds and pictures, along with having the ability to upload them to the Global Sounds application. Whether you record the beautiful sounds of nature, or the different sounds in the city, you can record your favorite sounds and edit, document, and upload them to your own iPhone. Furthermore, whether you go on a trip, or spend time with your family, you can record your precious memories with photos and sounds, along with any comments that you may have. Finally, if you want to share your sounds with the world, you can also post your data to Global Sounds. Consequently, if your sound is selected by Pioneer, your sound will be added to the map of Global Sounds. Let's listen and enjoy the various sounds of the earth with Global Sounds! 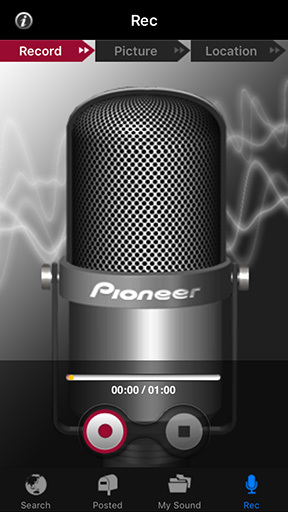 You can enjoy the posted sounds which were selected by Pioneer. There are fascinated sounds recorded by Pioneer on Google Map. The sounds can be heard by tapping. The sounds are categorized by the following four.Please hear the sounds that fits your mood. The sounds of the category can be heard, when the category button is tapped. 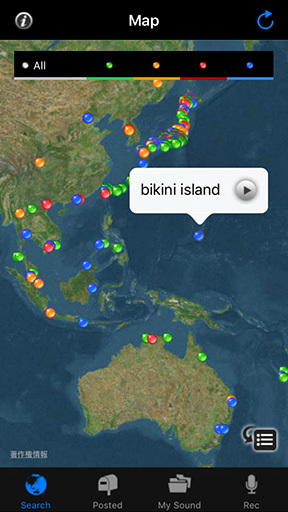 Also the display can be switched from GoogleMap to category list. The sounds that are posted by people all over the world are stocked in "Posted". The sounds can be heard by tapping. The posted sounds that are selected by Pioneer are plotted on Google Map. So let's try to post the sounds that are hiding around you! ※The posted sounds cannot be downloaded. Please sort the sounds by "Latest" or "Popular", and find the sounds you like. The favorite sounds can be saved in "My Sound". The recorded sounds can be left as memories, sent to friends, and be shared with people all over the world. The downloaded sounds can be heard in "Favorite". 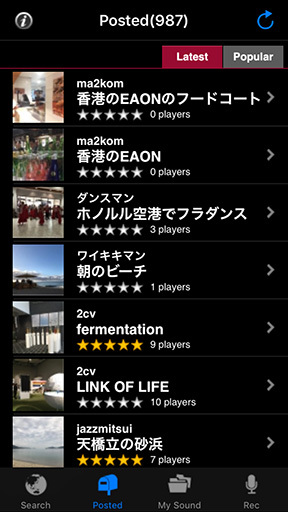 The recorded sounds are stocked in"Rec List". They can be heard and named in there. The display will change to "edit" when the button is tapped. Title, name, and comment of the recorded sounds can be edited in "edit". After editing, let's enjoy sharing sounds with friends! 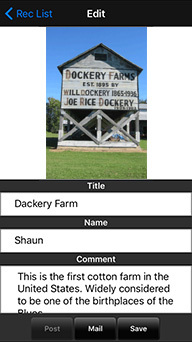 The recorded sound can be saved with a picture and location data. After recording, the sounds are saved in "Rec List". * This feature is available on the iPhone 3GS / iPhone 4. 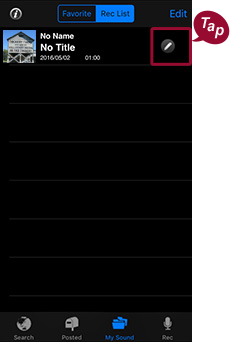 The recording will start by tapping the rec button.Recording time is 15-60 seconds. Please take a picture that can express the scene. Please get the location data by using GPS. Post the recorded sound and picture to Global Sounds. Send the recorded sound and picture by e-mail. Save the recorded sound and picture.